Oren is originally from Canada and now based in Sydney. Winner of the professional division of the Berlin Nightclub Salsa Competition in Toronto; considered to be the most prestigious salsa competition in Canada. Oren has performed at various worldwide salsa congresses including Puerto Rico, Miami and Sydney; previously a director of Rumba Latina Dance Company in Greensboro. Julia is a full time teacher in Sydney and has performed at the Sydney Salsa Congress in 2005, Sydney Latin Fiesta 2004, Latino Bacardi Festival 2004, Darling Harbour Fiesta 2004 and Brisbane Latin Festival 2004. Hawaiian International Salsa Champions 2004, Australian representatives in the Mayan World Salsa Competition 2004, Contestants on ABC’s Strictly Dancing TV series 2004 and Feature performers and teachers at the Sydney Bacardi Festival 2002, 2003, 2004 and 2005. They have been international teachers and performers for over 10 years. Have a strong focus on technique whilst making teaching and learning an enjoyable experience. 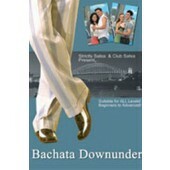 Patricia and J are two of the best salsa dancers and teachers in Sydney. Patricia has won several major competitions in Sydney including the Sydney Salsa competition and the Tropicana Salsa competition. Patricia and J have performed at various international salsa congresses including Miami, Puerto Rico, Los Angeles and various European destinations. 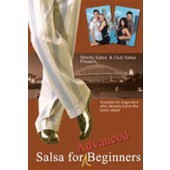 Winners of the Sydney Salsa Competition 2003, Finalists Tropicana National Salsa Competition 2004, Finalists in the Mayan World Salsa Competition 2004, Contestants on ABC’s Strictly Dancing TV series 2004. Feature performers and teachers at the Sydney Bacardi and Maroubra Festivals 2004. 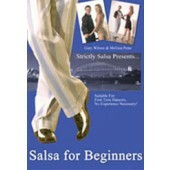 Strictly Salsa teaches on1 and their dance products are available on Zone Free DVD.